Bloomberg was the main attraction at the get-out-the-vote rally for six candidates running for New Hampshire’s state House of Representatives. The event was organized by Moms Demand Action, an arm of Bloomberg’s Everytown for Gun Safety organization set up after the 2012 Sandy Hook Elementary School shootings. Bloomberg’s trip came just days after he re-registered as a Democrat after years as a Republican and an independent. Do you think Bloomberg would make a good presidential candidate? Prior to the event at Nashua City Hall, Bloomberg met with the city’s longtime major, Jim Donchess, who’s a member of Bloomberg’s Mayors Against Illegal Guns group. He also met with Manchester Mayor Joyce Craig, a supporter of tighter gun restrictions, and the six state legislative candidates who were endorsed by Moms Demand Action. 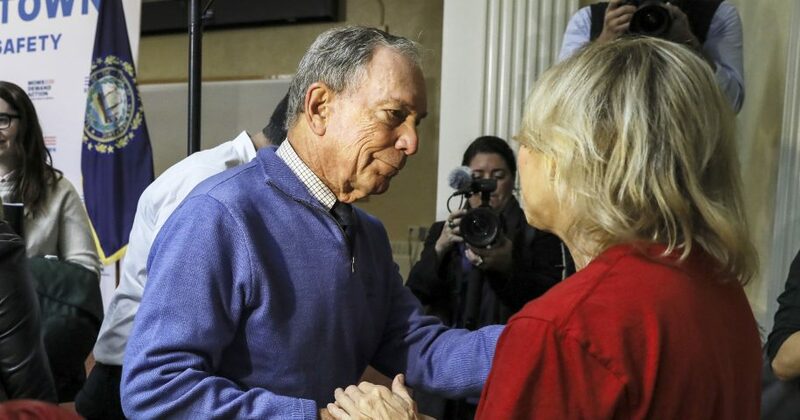 While November’s election and the issue of guns were the focus of Bloomberg’s visit to the Granite State, the trip fueled speculation that the 76-year-old former three-term New York City mayor is serious about a 2020 presidential run. Bloomberg considered, but ultimately decided against White House runs in 2008 and 2016.